Sri Lanka weather satellite image shows clear blue sky with no sign of rain, cool in the night, warm and dry during the daytime. MN2 pass over Sri Lanka weather satellite image for two passes. There is no sign of rain with cool temperature during the night with warm and dry climate during the daytime. 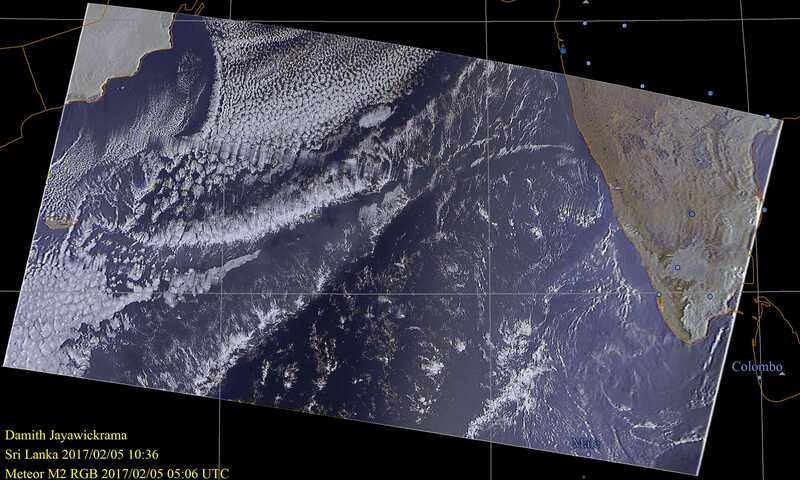 Following composite image shows satellite images captured during two passes in the morning. It is evident that no sign of rain except may be a light drizzle in the evening because of the warm weather during the daytime. RGB image shows that clear blue sky is visible around the nation with sunny southern and western oceans. Wind detected as 7 knots from Northeast at VCBI while 9 knots from North at VCRI. Note: Please click on images to see high resolution images. 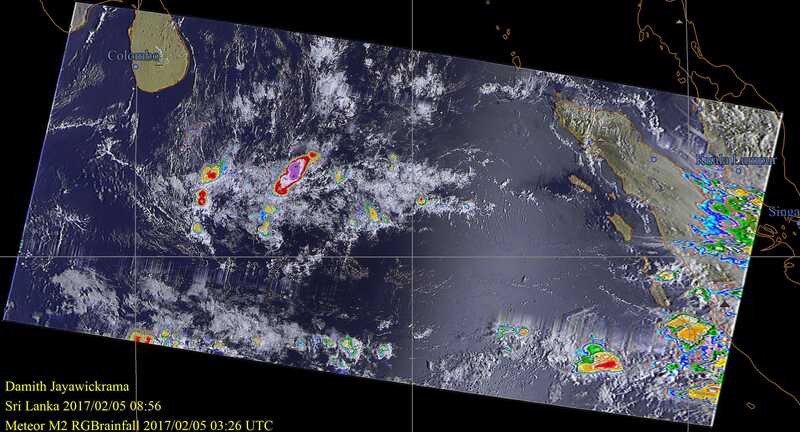 You can see some rain clouds (MN2 – RGB rainfall image of Sri Lanka (1st pass)) on the Southeast of Sri Lanka but the wind does not help them go across the island. Sky on the west side of Sri Lanka is fairly clear and no signs of rain clouds. It is very nice to see the could pattern near middle east on the Arabian sea (to see please click here). Satellite images shows no rain over Sri Lanka but little bit of clouds.